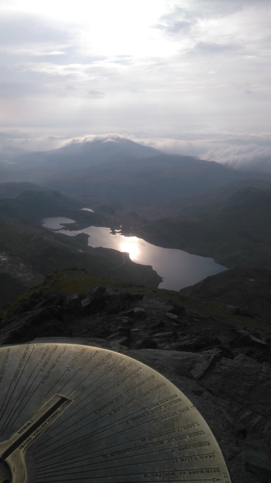 Over the May Bank Holiday weekend Allen was in Snowdonia supporting some friends undertaking the Welsh 3000 Challenge in aid of The Charlie Waller Memorial Trust. So he decided that once his support duties were over that it would be a shame to be in one of the best National Parks in Wales and not get in some cycling. The challenge of cycling up a mountain was too much to miss, and if your going to cycle up any mountain in Wales, then what better than it’s highest one, Snowdon at 1,085 m.
Due to Snowdon being such a popular destination there is a voluntary code to not mountain bike up the mountain between 10 am and 5 pm, so that meant an early start on the Bank Holiday Monday. Allen was up at 5am to be met with light rain, so a quick breakfast was eaten and waterproofs were donned. 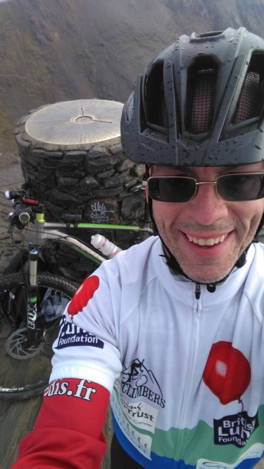 A brief ride from Nant Peris to the start of the Llanberis Path at the base of Snowdon provided the warm-up, where he arrived just after 6 am and waterproofs were dispensed with. As you start along the first part of the path, you actually have to push your bike, this was a clue to what was to come. After a short push, Allen was able to get in the saddle and start riding for a few minutes, and then it was back off the bike and a 10 minute push followed. The track then becomes ridable for the next 10 minutes, before the track becomes more like steps as a result of the rocks placed to protect the surface. By the time Allen reached Halfway House he had pushed the bike as much as ride it, but more to was to come. The next half of the ride involved more pushing and even some carrying of his bike, but eventually the summit of Snowdon came in sight. With the end in sight, one last push (and carry) was made to “summit out”, in just under 2 hours. Surprisingly Allen had the summit to himself, a rare luxury , as its normally crowded and clear views. 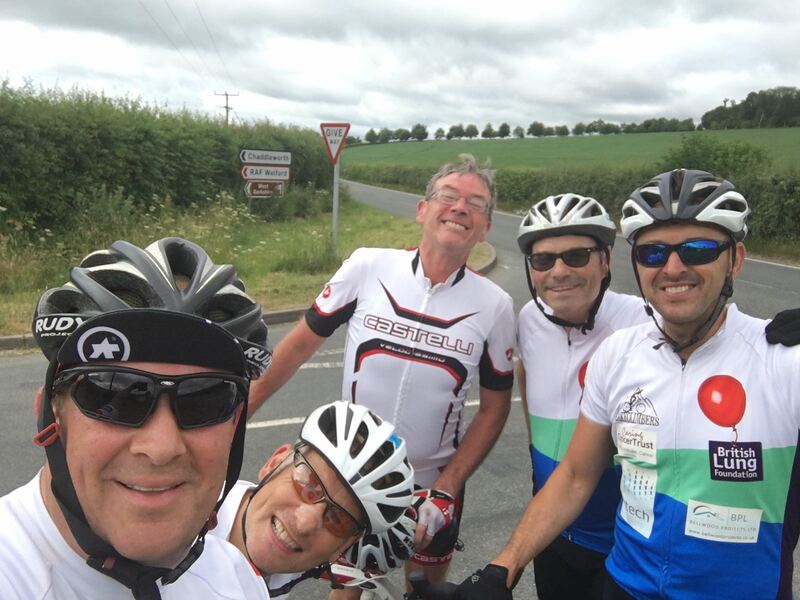 On the downside there was no-one else to take a photo of the achievement, so a selfie was the order of the day. The picture to the left is a glorious view of Llyn Peris from the summit of Snowdon. With the clock at 8 am it was time to start going back down. This was somewhat quicker only taking 45 minutes. However more push the bike was involved at times due to the rocky step like rocks in places. It was certainly not a relaxing descent and the brake pads now need replacing. Hopefully that will be the last time Allen has to push his bike up a mountain. So now Allen’s mountain bike is truly a mountain bike. It was a great mini-challenge and good to have ticked it off the list.